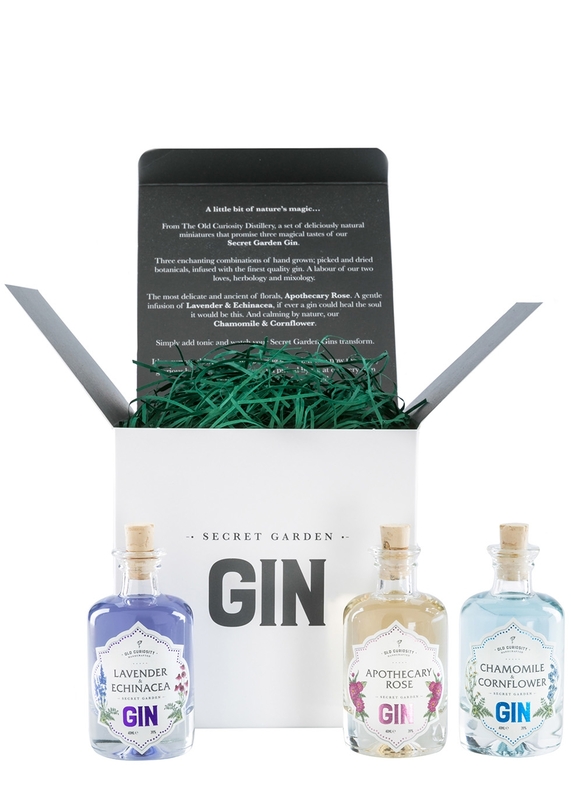 A set of deliciously natural miniatures that promise three magical tastes of the amazing Secret Garden Range gins from Old Curiosity. Three enchanting combinations of hand-grown; picked and dried botanicals, infused with the finest quality gin all available in 40ml apothecary style bottles. The most delicate of florals Apothecary Rose. A gentle infusion of Lavender and Echinacea, if ever a gin could heal the soul it would be this. And calming by nature, our Chamomile and Cornflower. 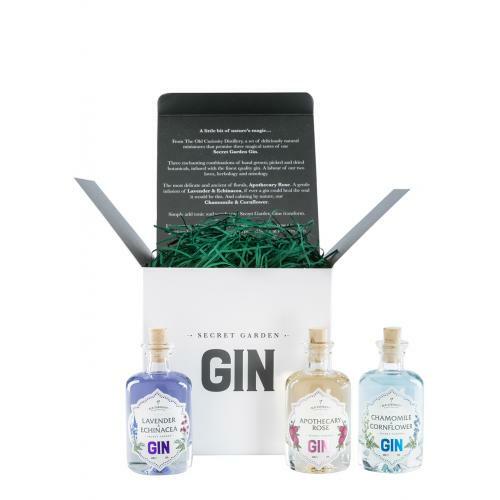 Simply add tonic and watch your Secret Garden Gins transform. The Lavender & Echinacea Gin has subtle notes of heather, peppercorn and a hint of Turkish delight with the floral notes of lavender.